Family domestic violence and abuse is defined as physical, emotional, verbal, or sexual abuse of one spouse by another. Although domestic abuse is more common in low income families, or families in which there's substance abuse, it can happen to any family in any income bracket. Advocacy groups and and representatives of social service agencies can arrange meetings with families to make decisions that affect the safety of family members involved in family domestic violence. Separate family meetings can be arranged for the family, and one for the abuser to prevent further instances of violence. At a family meeting, the parties can put a plan into place for the family's safety, and identify resources within the community to help eliminate the family domestic violence. Decisions at meeting can also be made about temporary placement of children as a safety precaution, if necessary. Intervention meetings, in which the male abuser meets with practitioners, are designed to end the violence in any ways possible, and not focus on fixing the relationships. The safety of the family is always the first concern. Battering is a serious form of abuse, and interventionists will make eforts to allow the abuser to change behavior, and may suggest counseling on a long term basis. If the abuser isn't willing to change, he must be aware that he will face the consequences of his actions, including possible imprisonment. Efforts to engage fathers in meeting with domestic abuse counselors are now being encouraged by some agencies. Family domestic violence is never acceptable, whether the woman or man in the family is the abuser, and it's important for the entire family to meet with interventionists to end the violence and controlling behavior. Children must learn that family domestic violence is not normal, and the cycle has to be broken when they're young, so they don't get into abusive relationships, or become abusers, as adults. When families meet together with social service representatives or advocates, they can discuss issues in a safe environment, and hopefully, make decisions that will benefit the family. When intervening during crisis situations involving family domestic violence, it's important to understand the past dynamics of the home, because this can tell an advocate or social worker a lot about how the abuse began, and the necessary steps to take to protect the family from further abuse. Although family domestic violence can happen in well to do families, it isn't as common, and usually happens in families in a low income bracket. The couple in question may be married, or they can be in a relationship in which children are still involved. Substance abuse may be a consideration, but not in many cases. Quite often, the abuser was brought up in a home with an abusive parent. Some abusers think that violence is the way to handle situations within the family, or they may have serious psychological issues that were never addressed. The main concern must be the safety of the family, and necessary steps must be taken to ensure that the abuse stops. The most important issue involved with domestic violence is to ensure the safety of the family, protecting them from further violence. Domestic violence is serious, especially when children are involved. The abuser may have been battering his wife or girlfriend, but there's no way to be sure that the children won't also be abused. Service providers and child welfare advocates must do everything to ensure the safety of the children and the abuse victim. women in abusive relationships don't have control over their partner's actions, but they can take necessary steps to be sure that they and their children remain safe. The family should have a plan in place about how to safely get out of the home when family domestic violence takes place. 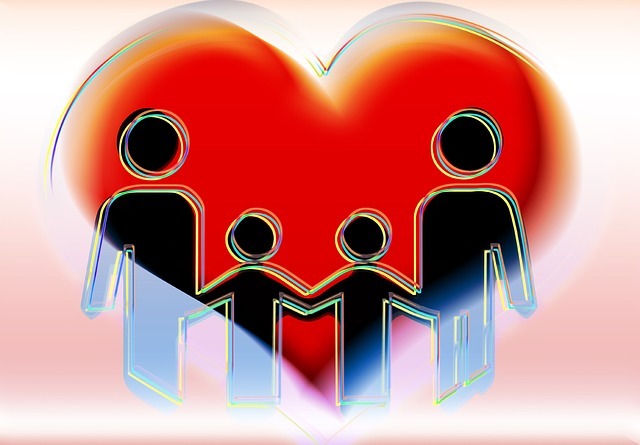 Providers working with the family should have a plan for the children to live away from the family on a temporary basis, if necessary to be sure they aren't in danger. Local law enforcement officers must be trained in handling family domestic violence cases, and be aware of the safe places or shelters that a woman and her children can be taken to in the event they must leave their home. Shelter staff should be able to advise women about temporary housing and services available for them and their children when they're forced to leave their home. In many cases, financial and job counseling are available for women who have left an abuser. social service providers and law enforcement can advise on how to obtain a protective order, if necessary. Some shelters may have the resources to assist families with getting affordable housing. When child welfare agencies get involved in family domestic abuse cases, they should keep records of when the abuse happened,and what occurred for recording a family history and for statistical study in the future. The mission of Child Protective Services (CPS) is to ensure the safety and well-being of children from abusive homes. They can identify the problems and help with solutions. They substantiate that abuse has taken place, and work with the abused adult to ensure that the family can remain together. Social Services can also work to hold abusers accountable for acts of family domestic violence or abuse. When law enforcement officers respond to domestic abuse calls, they must gather all evidence as proof that abuse has taken place. This may include photos and interviewing witnesses, to make sure that the perpetrator is held accountable. It's the responsibility of the community to provide resources, safe places, counseling, and affordable housing for abuse victims and their families. Children may become victims, and when a child is taken to the emergency room or doctor, medical personnel have to be able to determine if it's necessary to contact CPS about possible abuse. Many hospitals have social workers on staff to evaluate emergency situations. Medical staff should also be trained to assess women and men for possible family domestic violence. There must be more cooperation between police officers, judges, and especially prosecutors, who may be hesitant to prosecute domestic abuse cases. Families must be aware of their options in the event the abuser isn't prosecuted, including filing civil suits. Abuse victims shouldn't be afraid to take out protective orders, and must know that the abuser will be arrested if the order is violated. More low cost legal assistance for abuse victims should be offered, since most of them are in low income brackets, and deserve as much legal representation as anyone else. Many women stay in abusive relationships, sometimes for years, because they don't have anywhere else to go. Some of them have been beaten down psychologically to the point where they think they're the cause of their partner's abuse, but no one deserves to be abused and shouldn't have to live in fear. If you're in an abusive relationship, and are in immediate danger, call 911. It could save your life. If you suspect a friend or family member is being abused, approach them. You may be able to help them. Advocacy groups are set up to help domestic abuse victims, and if you need help, you can contact the National Domestic Violence Hotline at 1-800-799-7233. They can advise you about getting assistance.